Hearts & Arrow by CanadaMark E Color VS Clarity Canadian Diamond Melee Are In High Demand Due To Their Remarkable Gem-Quality Properties And Traceable Origins. Compared To The Output Of Other Countries, Canada'S Diamonds Are More Pristine And Higher Quality. They Are Distinguished By Their High Grade Of Color And Clarity, Low Level Of Fluorescence, And Innate High Luster. And The Canadian Mining Industry Upholds A Strict Policy Of Ethical Operations, Sustainable Development Of Its Natural Resources And Environmental Preservation. Harvested In A Responsible, Legitimate Manner, These Diamonds Are Conflict Free Guaranteed. These Diamonds Are Tracked From Mine To Market With Uninterrupted Chain Of Custody, Set Of Warranties And Separate Production Line In Manufacturing, Ensuring No Chance Of Treated Diamonds Or Synthetic Diamonds Getting Mixed. Canadian Diamonds Meet The Requirements Of The Kimberly Process And They Are Mined, Cut And Polished In A Socially And Environmentally Responsible Manner. One Of The Most Proportionally Ideal Cuts Available Today, Our Expertly Crafted Hearts & Arrows Melee Have 58 Facets. They Are Made With The Utmost Precision, Resulting In Eight Beautiful Symmetrical Hearts And Arrows That Can Been Seen When Closely Examining The Gemstone With A Viewer. 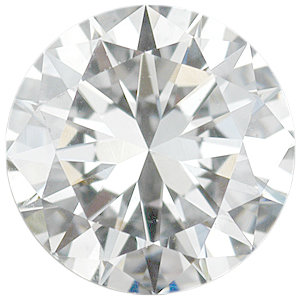 This Round Diamond has been professionally graded as a VS clarity and E color by a certified diamond grading specialist. A VS clarity graded diamond will have inclusions that are not visible to the naked eye and can only be seen with the aid of a microscope. This diamond has been cut for full brilliance with a Very Good Symmetry, Polish, Finish and Make. A E color grade diamond is considered to be in colorless color grade, very suitable for white gold and platinum jewelry. What is the story of your diamond? Is it a story of passion? A story of joy? A story of intrigue? The beauty of a diamond is that it is the perfect expression of you�your special story. A diamond reflects the rarity, brilliance, and breathtaking fire of a gem that has survived a journey of billions of years for the pleasure of adornment. Fabulous tales and myths abound about the power of diamonds. Success, fearlessness and invincibility are some of the mystical properties ascribed to this famous gem. Perhaps the old legends were true. Today diamonds remain the most treasured symbol of devotion, honor and strength. Fine diamonds are among the most coveted if all gems. Their value however, differs widely from one diamond to another. 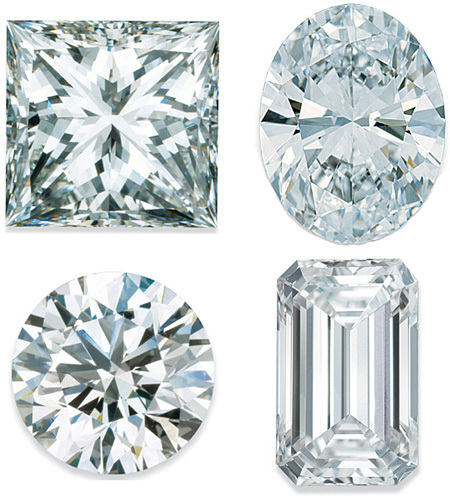 Experts evaluate every diamond for rarity and beauty using four primary guidelines. 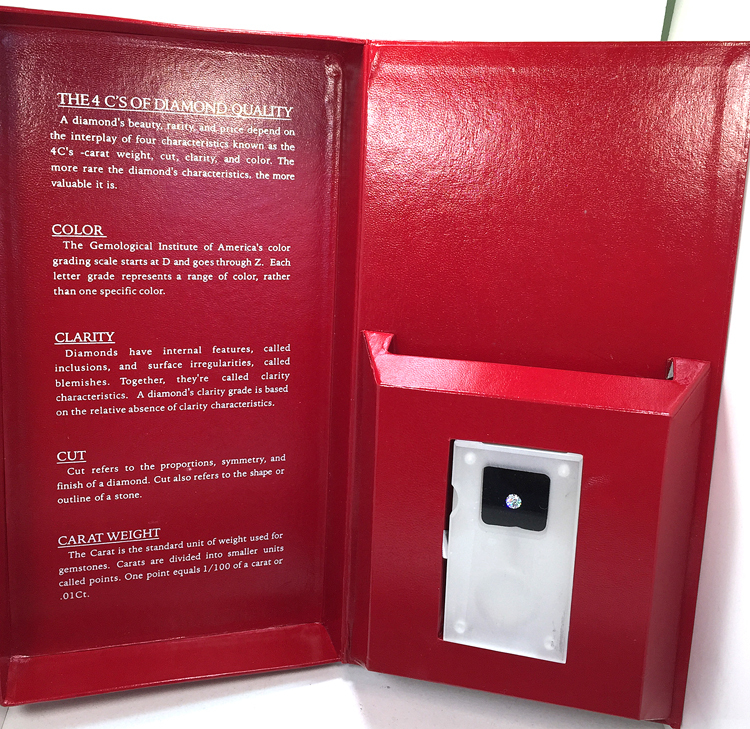 These are called the Four Cs�Cut, Color, Clarity and Carat Weight. 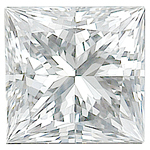 When you think of the cut, you probably think of the shape of the diamond. You are partially correct. While cut does refer to shape, it also refers to the proportions of how the diamond is actually cut. Diamonds are cute into many different shapes, reflection not only popular taste but the proportions and the quality of the rough diamond. The most popular shapes include Round, Oval, Square, Princess, Emerald, Baguette and Marquise cut. Many specialty shapes are also available. With the exception of fancy color diamonds, the most valuable diamonds are those with the least color. The color scale for transparent diamonds goes from D-F (colorless), G-J (near colorless), K-M (faint yellow), to Z (light yellow). Completely colorless diamonds are rare. When diamonds are formed with traces of other minerals, rare and beautiful colors can result. These �fancy� colors range from blue and brilliant yellow to red, brown, pale green, pink and violet. Because of their rarity, colored diamonds are highly desirable and may be quite valuable. A diamond�s clarity is measured by the existence, or the absence, of visible flaws. Tiny surface blemishes or internal inclusions�even those seen only under magnification with a 10x jeweler�s loupe�can alter the brilliance of the diamond and thus affect its value. Clarity levels begin with Flawless (FL & IF) followed by Very Very Slight (VVS1 & 2), Very Slight (VS1 & 2), Slightly Included (SI1 & 2), and included (I1, 2, & 3). The size of a diamond is measured, not by its dimensions, but by weight. Diamonds of equal weight may appear slightly different in size, depending on their depths and proportions. The unmatched beauty and elegance of a diamond makes it the perfect jewel for marking life�s important occasions, from your newborn�s birth to a graduation, promotion to a birthday. Celebrate your special story with diamonds. All gem-quality diamonds are rare, taking billions of years for nature to form them. The journey from the mine to you is long and arduous. While the four Cs information helps you to identify the quality of the diamond you are purchasing, it is the combination of these four characteristics which determine a diamond�s rarity and therefore its value. Remember�beauty is in the eye of the beholder. A diamond can only be truly perfect if you think it is beautifully perfect for you. What is considered diamond melee? 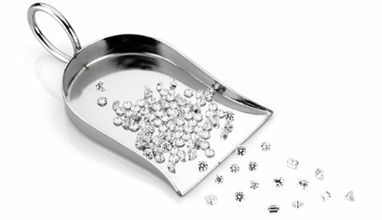 Melee is a term for diamonds of less than 1/5 of a carat and these small diamonds are perfect accents for jewelry. Though small, our diamond melee does not lack any faceting or shine and we carry a huge variety of normal and fancy shapes in a large range of quality grades. AfricaGems carries enhanced colored diamonds in every color of the rainbow for a colorful unique diamond accent in jewelry. 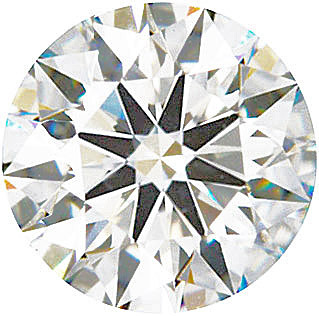 Our treated diamonds are colored through both radiation and the HTHP process. 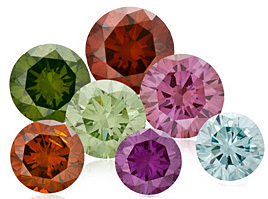 Check out the stunning vivid diamond colors we offer. Diamond that occur naturally with different colors are some of the most rare, valuable and beautiful diamonds. All of our natural fancy colored diamonds are GIA certified. Shop for loose colored diamonds in so many stunning colors for unique and elegant jewelry. If you have a diamond that is scratched, chipped or burnt we can fix your diamond and will look completely brand new. AfricaGems offers high level diamond repairs, diamond repolishing and diamond recutting. Allow your diamond to shine to its full potential by repairing it to its original glory.